Now with More Volume from 400ml to 500ml at Same Price ! 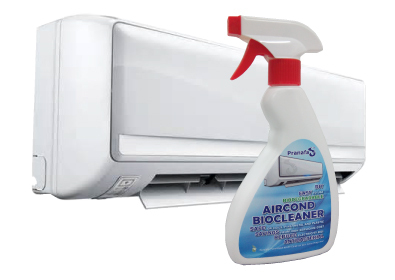 Aircond Biocleaner is a specially formulated chemistry to clean the aluminium coil of split air-conditioner units. It is also safe on other parts such as metal and plastic parts. The chemistry is a biodegaradable product and manufactured in SIngapore. 3. Designed to effectively remove oil and dust contaminants from the aluminium coil.No corrosion on the aluminium. 4. The spray type bottle allows users to mix with water for cleaning other parts such as plastic or ABS materials, especially the aircond blower located below the coil. Mixing with water will provide users with more volume to clean. For coil cleaning users must use the original concentration for effective cleaning. 5. Able to clear blockage/clogs in the water outlet if it is caused by dust and oil contaminants. Users who face water leakage/drips from the indoor unit due to such blockage will benefit. 7. Deodorizer - Able to remove bad odour from the coil and filter. 8. It is recommended that users apply every 3 months on their airconditioner units and users will benefit long term savings especially from high aircon servicing cost and damaged mechanical parts due to poor maintenance. For moderate users, there is savings from electricty costs as well i.e. use of aircond for shorter period as it able to cool faster or operate at higher temperature. 9. Cost comparison. Use of Aircond Biocleaner is merely RM10 to RM15 per 1HP airconditioner unit against RM100 to RM150 charges by external contractor. Users can now service more often for better airconditioner performance, better air quality and at low cost. 10. We do not use solvent based material as it may affect individuals who accidently in-hale the mist. Step 1: Switch off the air-conditioner power. Step 2: Open the top cover and remove the filters. 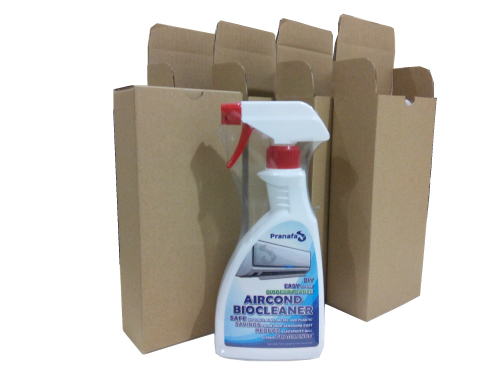 Spray the filters with Aircond Biocleaner, leave it for at least 5 minutes and rinse off with water. It will remove dirt, oil contaminants and deodorize the filters. Step 4: Insert the filters that you have cleaned into the original position. Step 5: Switch on the air-conditioner to operate for 1-2 hours, effecting condensation to drain-off the loosen dirt, mold fungi and oily contaminants via air-conditioner drainage pipe. * One bottle could be used up to 2-3 1HP airconditioner. 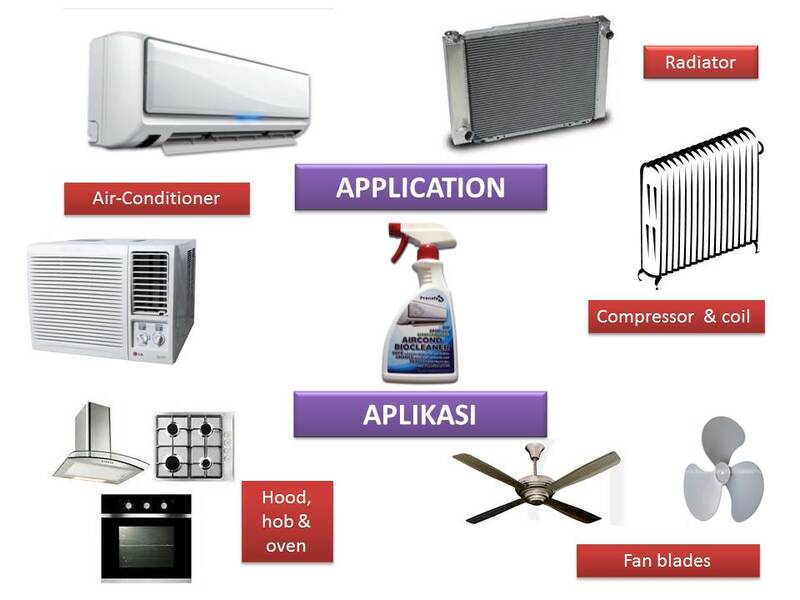 Subject to airconditioner condition and amount that have been sprayed. While the product is water based and safe to users. Basic safety should be taken into consideration. 1. Avoid eye contact. If there is a contact with your eyes, rinse with water. 2. Use proper tools such as ladder, manual pump & spray for better water pressure where required. 3. If required, have an asistant to assist you in handing over tools to you during the cleaning work.